*As Betty Akerodolu, Son takes over almost all contracts. *Commissioners, aides more like Clarks, errands boys. Ondo state seemed to be in turmoil, turmoil as a result of the strong control and interference on the running of the affairs of the state by no other than the Wife of the Executive governor of the State Mrs. Betty Akerodolu. Daily Watch Sources in the oil rich Western states confirmed that things in the once Promising state when the erudite Rotimi Akerodolu came to power doesn’t seem to be as the man is said to have been over powered and thrown overboard courtesy o his powerful and overbearing wife and son who both has totally taken over the affairs of the state most especially as regards almost all contracts in the oil rich state. Daily Watch Sources has it that the resignation of one of the aides of the Governor in charge of Oil and Gas Benson Enikuomehim may not be unconnected with the Governors wife undue interference in almost all issues in the state particular in the OSPADEC where all contracts, everything revolves round the Governors wife Betty and her son. Daily Watch Sources in the state Capital has it that except for a quick settlement of the issue of the governor’s wife throwing orders and authority all over and in every aspect of administration in the state several other resignations are to occur soonest and in very large number as several aides and commissioners are said to be serious grumbling and angry over how the wife of the Governor, his son and extended family taking over affairs of everything in the state with the governor looking the other way. 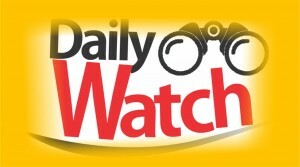 Daily Watch findings has it that mass resignation seemed to be on the offering soon except the executive governor fastly intervenes and call his wife and son to order mostly on the issue of taking over almost all contracts and affairs in the state OSOPADEC and other aspect in the state. It would be recalled that several weeks back Daily Watch raised the alarm about the powers and strides of the wife of the governor in the state which many a commissioners and aides see as unwanted interference in their job and the mass grumbling then among the cabinet members of the Governor Rotimi Akerodolu. Series of attempts to speak with the resigned aide of the Governor Benson Enikuomehim over the reasons of his resignation following speculations that it has to do with the overwhelming interference of the Governor’s wife Madam Betty Akerodolu in the affairs of his duty and OSOPDEC was not possible as at the time of going to press.